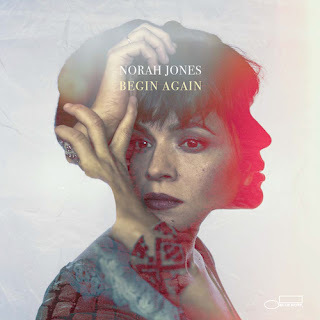 12 April 2019 (Toronto, ON) - Nine-time GRAMMY-winning singer-songwriter Norah Jones has released Begin Again, a collection of singles that gathers seven eclectic songs that Jones has recorded over the past year with collaborators including Jeff Tweedy, Thomas Bartlett, and Brian Blade. Begin Again is available now on 12” vinyl, CD, and as a digital album to download or stream HERE. Watch the new lyric video for the title track “Begin Again” HERE. Jones will tour in North America this summer following a tour of Australia and New Zealand this month. See below for the list of Canadian dates and visit norahjones.com/tour for ticket info.